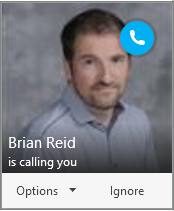 I have been invited into the Skype for Business Cloud PSTN preview in the UK and so I though I would jot down a few comments on how easy it was to configure and get a working telephone line and full PBX without doing more than a few clicks of the mouse in Office 365 Admin Center! 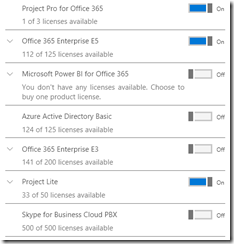 Once the correct number of licences have been purchased you need to assign them to the relevant users. 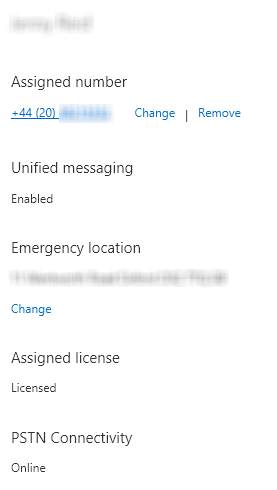 So in the admin portal assign the user either an E5 licence or the Skype for Business Cloud PBX licence. 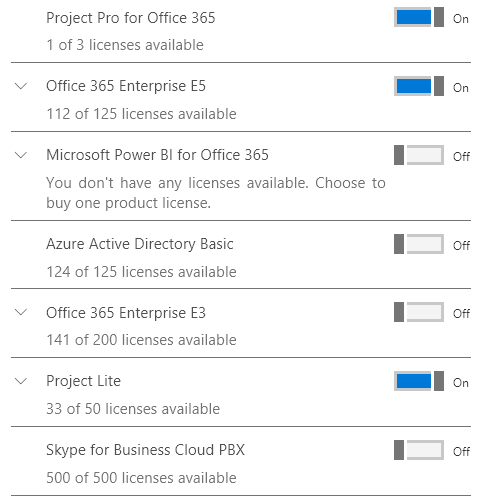 If they have an E5 licence already then the Skype for Business Cloud PBX licence is not needed as E5 contains Skype for Business Cloud PBX licence already. Before you assign users numbers you need to get the phone numbers and set emergency locations. To get the phone numbers click the + icon. You can have a number per licence. 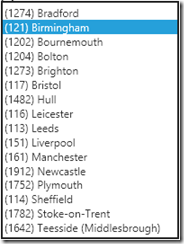 No Oxford number here yet, so I choose City of London on the region page to get an 0203 number. If you select Scotland as the region there is Edinburgh and Glasgow. 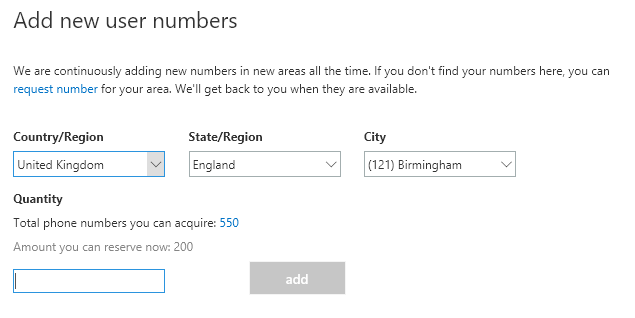 You can request new area codes by raising a support ticket – instructions on what the ticket should contain are in the link at the top of this page. 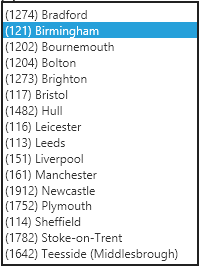 Enter the number of numbers in that region you want and click Add. You can add more and then click Acquire Numbers. You can also click Show Numbers and select or remove any of the provided options you may not want before you click Acquire Numbers. You have 10 minutes to acquire the numbers. 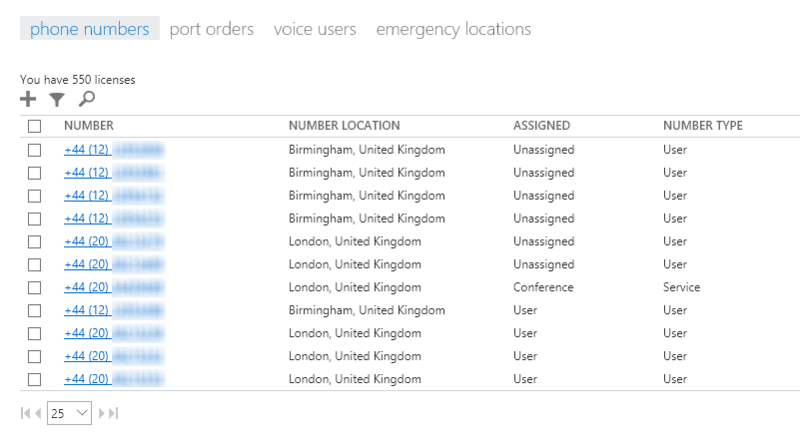 Click Emergency Locations in the top menu and add a location for each user of the service. Typically this will be the office, though if you are a company of remote workers this is a more long winded process. Addresses need to be validated and I have found that new postal codes in the UK at least 18 months old will not validate. 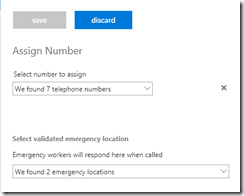 You cannot assign an emergency location that you cannot validate. 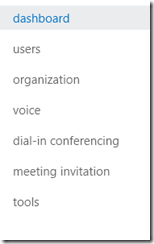 Click Voice Users on the top menu and select your users. Users will not appear here until around 1 hour after they are licenced. 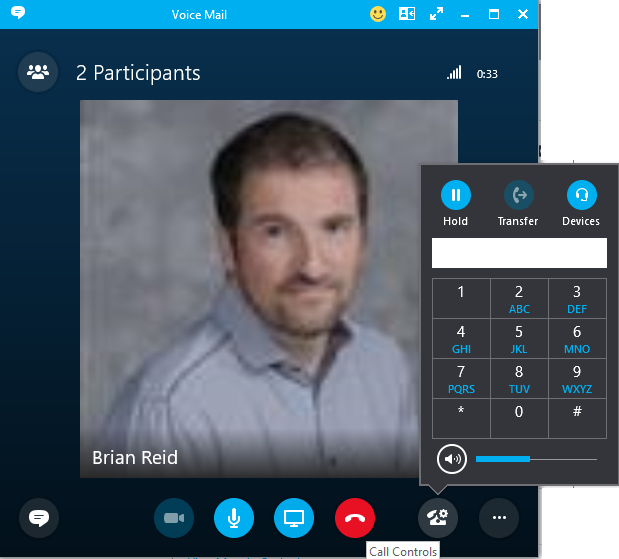 You can see below that we have both Cloud PBX and Cloud Connector to connect an on-premises phone system to Skype for Business Online. Click Save when both values are filled in. The popup will close when completed. Other than that you are done. 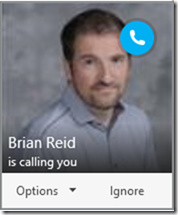 From the voicemail icon in the Skype for Business client the user can change their greetings and set up voicemail. 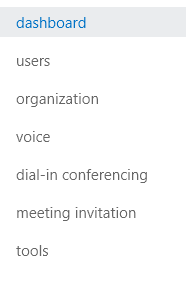 Clicking “Set up voicemail” takes the user to https://outlook.office.com/owa/?path=/options/callanswering which is currently the wrong page and searching for voicemail in the options dialog returns a link that goes nowhere. 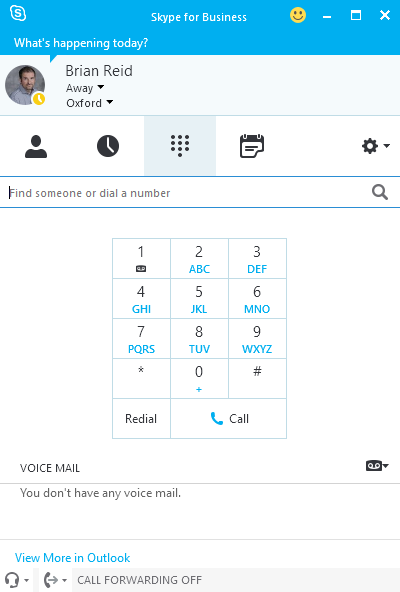 The “Change Greeting” option allows you to do as it says and you need to record a greeting and accept it using the Skype for Business dial pad as shown. You can also use the number keypad on your computer as well. Clicking the picture will answer the call. 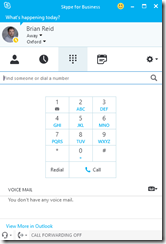 Ignore will send it to voicemail and options will allow you to text the user back or forward the call to your mobile phone. 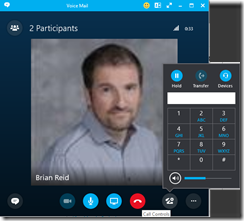 More permanent call forwarding options can be set in the Skype for Business client such as always forward or set simultaneously ring Skype and another number.